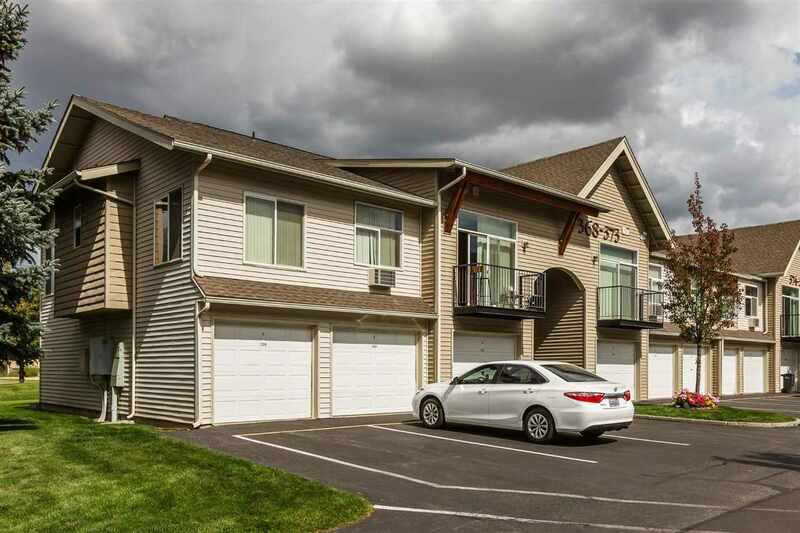 Maintenance-free one bedroom, one bath condo with attached garage access (two car tandem) in beautiful Liberty Lake community. Stainless steel appliances and gleaming wood floors make this unit a cut above the rest. Common areas include swimming pool, spa and fitness center. Walking distance to grocery stores, restaurants, bus, trails, seasonal farmer&apos;s market and any one of Liberty Lake&apos;s three golf courses! HOA pays for water/sewer/garbage, cable, internet access and grounds maintenance. Easy living here!